Addictively delicious and unbelievably easy, this dish is perfect on pasta, in tacos, or simply atop steamed rice and veggies. Addictively delicious and unbelievably easy, this dish is perfect on pasta, in tacos, or simply atop steamed rice and veggies. How spicy do you like it? Add sliced fresh chili peppers to the dish, if desired. Mix all dry seasons together in small bowl. When oil is heated, stir in garlic. Squeeze entire fresh lime juice into pan over shrimp. Sprinkle entire seasoning blend over shrimp. 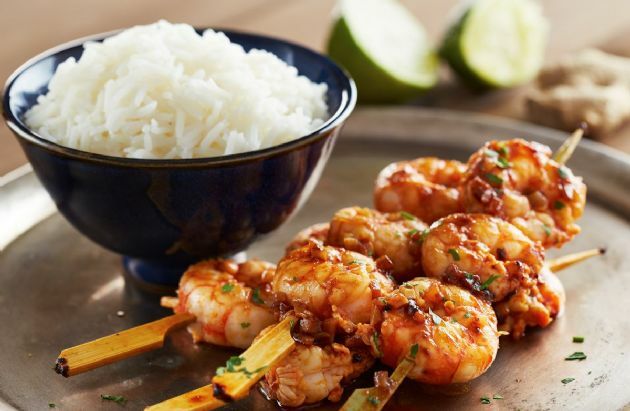 Saute shrimp for 5-8 minutes. This dish has a kick to it!